Two F-15 warplanes of the US-led coalition accidentally struck a unit of the Syrian Democratic Forces (SDF), which was involved in the SDF advance on ISIS in the Euphrates Valley, the Russian news agency Sputnik reported on October 17. The strike reportedly killed 6 SDF members and inured 15 others. ISIS terrorists also attacked SDF positions following the incident, according to the report. Despite initial claims by the SDF leadership that the terrorists in the area will soon be defeated there are no signs that the operation will be finished in the near future. The Russian side even claims that the US-led coalition is using the Hajin pocket to justify its illegal presence in the country. So, nobody is hurrying to defeat the terrorists. The Trump administration is preparing to impose sanctions on Russian and Iranian companies involved in the reconstruction of Syria, NBC News reported on October 16 citing defense officials. According to the report, these sanctions will be a part of further political, diplomatic and economic pressure to force Iran out of Syria and deal with the growing Russian influence. The NBC News report also claimed that right now the US military is not seeking an open confrontation with Iranian forces in the war-torn country. 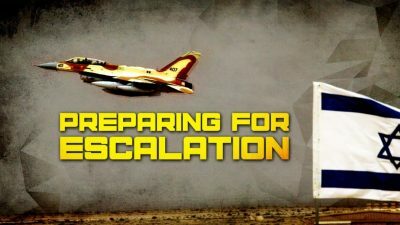 Nonetheless, it’s obvious that Israel, a key US ally in the region and another support of the large-scale anti-Iranian strategy, will not abandon its attempts to strike alleged Iranian and Iran-linked targets in the war-torn country even despite the recent delivery of Russian-made S-300 air defense systems to the Syrian military. According to multiple reports circulating in Israeli media, Israel and the US have sent a secret military delegation to Ukraine to train against and test Russian-made S-300 missile defense systems. According to reports, servicemen of the Ukrainian military instructed their US and Israeli counterparts on the capabilities of the air defense system as well as allowed US and Israeli specialists to test it in various possible scenarios. According to reports, F-15 warplanes have trained against the S-300 in the framework of the Clear Sky 2018 international exercise which includes Israeli and US pilots. It wasn’t immediately clear if the Israeli pilots were flying or merely observing from the ground. However, on October 16, a US pilot and his Ukrainian counterpart died in the crash of a Ukrainian Su-27 warplane.